The TA64 was the product of one of the most exciting phases of rallying. Between 1983 and 1986, the World Rally Championship adopted its Group B regulations, which required car manufacturers to produce and sell 200 units of a model in order for it to achieve homologation for the new formula. Working in conjunction with Toyota Team Europe, Toyota devised a plan to build 200 road cars, 20 ‘evolutionary’ versions for rallying and a powerful new engine. Some rival manufacturers opted for four-wheel drive, but the Celica Twin-Cam turbo retained a rear-wheel drive powertrain. The 2.1-litre engine could produce up to 380bhp, making the TA64 one of the most powerful two-wheel drive rally cars ever built. 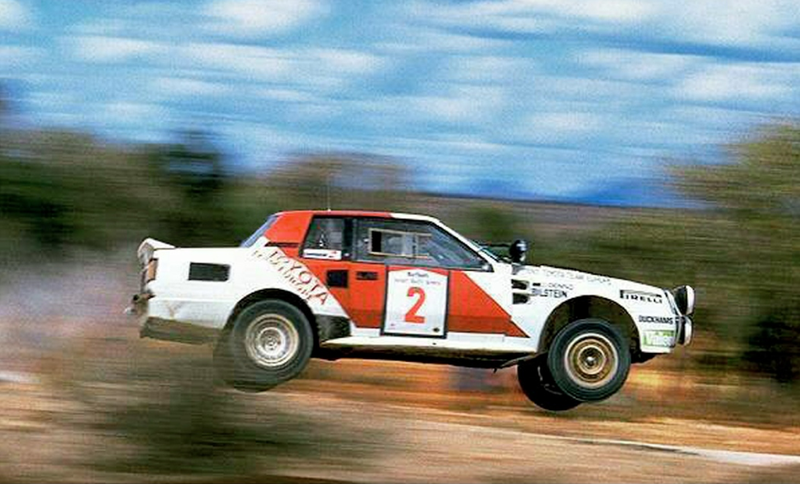 The car made its debut on the 1983 1,000 lakes Rally and was driven by Juha Kankkunen to a sixth place finish. On its next outing it was an outright winner, piloted by Bjorn Waldegard to victory on the 1984 Ivory Coast Rally. The Celica proved to be particularly strong and reliable, a testament to the high standard of preparation achieved by TTE. This made it ideal for the gruelling African events and between 1984 and 1986 it won a clean sweep of three Safari and three Ivory Coast rallies, earning its regal nickname. The car’s dominance was only ended when the Group B format was dropped at the end of 1986 in favour of the lower powered Group A cars. The experience gained in developing the TA64 proved perfect preparation for Toyota’s next generation of four-wheel drive rally cars, which succeeded in delivering Toyota three WRC manufacturers’ titles and four drivers’ championship titles. If you’re a fan of Group B rallying, head to this year’s Festival of Speed to see the Celica TA64 and Bjorn Waldergard back in action on the rally stage. This entry was posted on Tuesday, June 21st, 2011 at 16:06 and is filed under Toyota Life, Uncategorized, latest news. You can follow any responses to this entry through the RSS 2.0 feed. You can leave a response, or trackback from your own site.